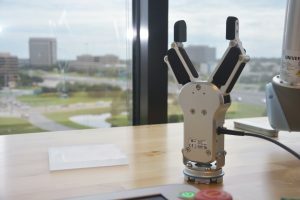 OnRobot, a global leader in end-of-arm tooling for collaborative robots, has opened its first US headquarters in Dallas, Texas. Selected for its close proximity to OnRobot partners, Dallas will also provide OnRobot with a central location that is easy for both customers and staff to visit for training, demonstrations and sales meetings. The company plans on recruiting nationwide for its Dallas-based positions with goals to grow the number of staff from currently four employees to 25-35 staff members in the next two to three years. 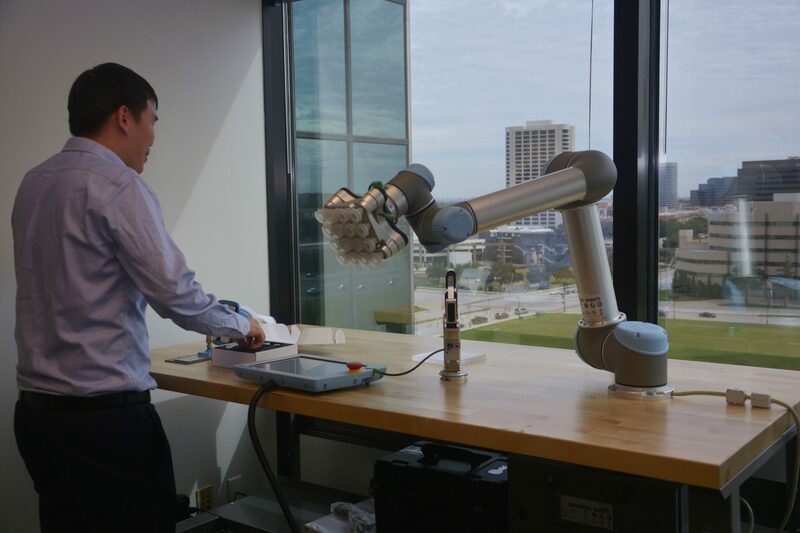 OnRobot provides hardware and software that is used with collaborative robots – or cobots – from a variety of robot manufacturers, such as Universal Robots, KUKA, FANUC and Yaskawa. The industry is now scaling up production as cobots have become the fastest growingsegment of industrial automation, expected to jump ten-fold to 34% of all industrial robot sales by 2025, according to the International Federation of Robotics. The new office space is located in the Urban Towers within the Las Colinas area, only 15 minutes from the Dallas Forth Worth airport. The location allows the company ample opportunity to expand its US headquarters as staff is added – without having to relocate. Established in 2015, the company merged with Perception Robotics and OptoForce earlier this year, followed by a recent acquisition of Purple Robotics. Now, the OnRobot product range features a wide assortment of robot equipment, including: electric grippers, force/torque sensors, gecko grippers, and tool changers. This new combination of offerings from OnRobot makes it quicker and simpler to automate tasks such as packaging, quality control, materials handling, machine operation, assembly, and welding. The company plans to grow through further acquisitions in the coming years. Headquartered in Odense, Denmark, OnRobot also has offices in Germany, China, Malaysia, and Hungary.